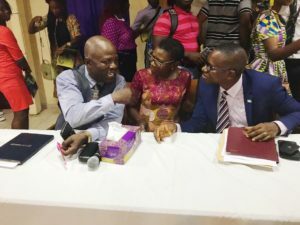 On 9th April, 2019, Freetown City Council commenced its Speaker’s Sessions, a monthly initiative of the Job Creation (with Tourism Focus) Sector. The Speaker’s Sessions seeks to help young people interested in building their career in the tourism sector (students, trainees, junior staff etc) make informed decisions about their careers by having industry experts discuss trends and career opportunities, as well as their personal experiences working in the tourism sector. 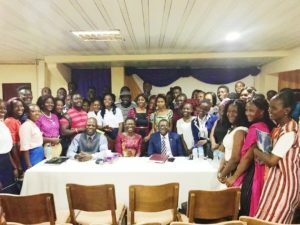 The inaugural speaker, Tamba Kokobaye, who is President of the Sierra Leone Hotel Association, shared his journey from waiter to hotel owner, and how passion drove his success as a hotelier with students from MMCET, Limkokwing Sierra Leone, School of Aviation & Tourism and Madam. Also present were the Mayor Aki-Sawyerr and Mr Fodeba Daboh, the head of the Local Content Agency.